Jessa Gilbert has had a busy few months: completing a 2,400 and 600 sq ft mural, finishing several live paintings (including at VIMFF this week! ), selling new art pieces, prepping for multiple presentations (including at VIMFF tonight! ), and guiding at the BaldFace lodge. 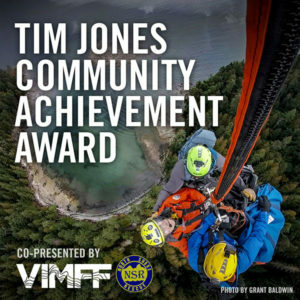 Even with all this, she found time to sit down with VIMFF for an interview – read it below and catch her tonight – Sun, Feb 11 – at the Rio Theatre at the Mountain Art & Photography Show. 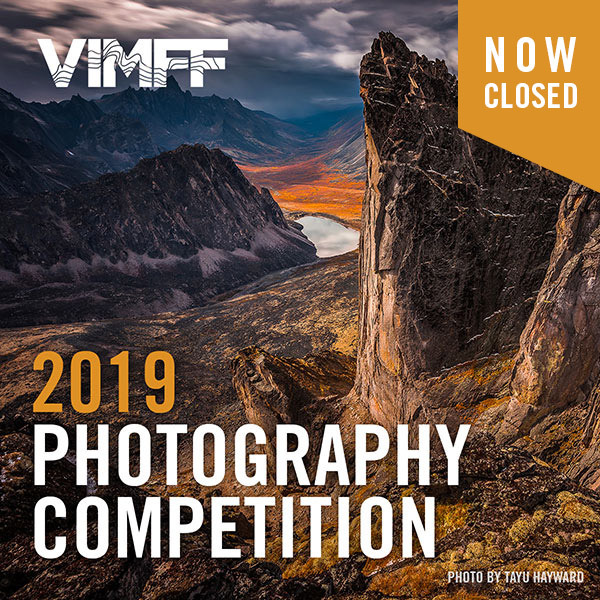 We are so excited that you will be speaking at the Mountain Art & Photography Show this year at VIMFF! Can you give us a sneak peak into what your presentation will be about? Me too! I’m looking forward to the whole evening of films as well as a talk from John Price. I’ll be talking about the parallel lessons between a life as an artist and a life in the outdoors, with plenty of visuals from both sides. It’s been a pretty wild transition from my roots in New York riding freestyle to painting in the backcountry in BC, and I’m looking forward to sharing a bit of that journey with everyone! You are also coming back to do the Live Art Show this year at Centennial Theatre. Are you stoked to be painting AND speaking at VIMFF this year? 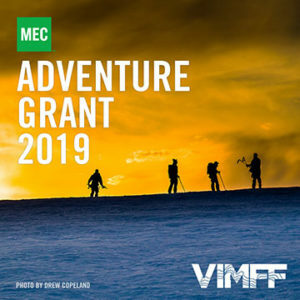 I couldn’t be more excited to be so heavily involved with the VIMFF this year. It was a great experience live painting at the Centennial last year, meeting so many different types of people, and hearing so many different types of inspiring stories. I’m super grateful for the opportunity to get up and share what it is that inspires me both in the studio and in the mountains. Admittedly I still can’t believe I’m in the lineup with so many incredibly talented individuals! 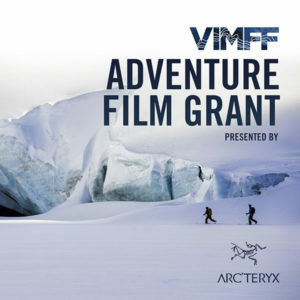 We can believe it – you belong on the VIMFF stage! 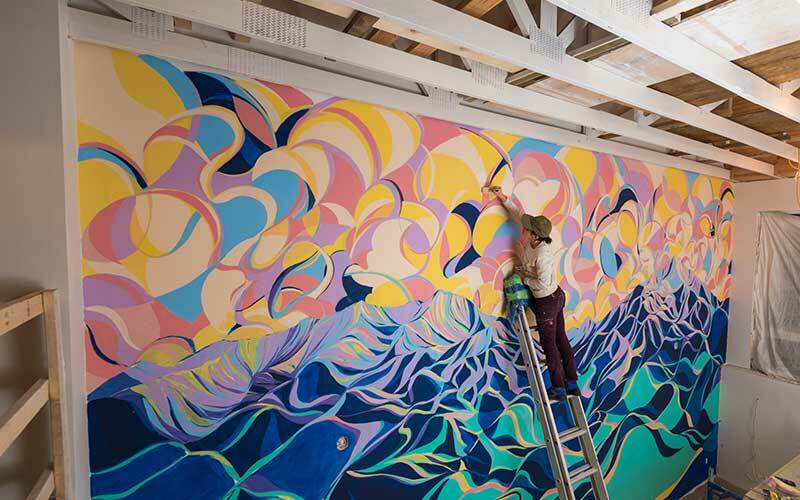 You recently finished a giant mural in Whistler and are working on a second 600 sq ft mural. Can you tell us about these projects and where we could go see them? Yeah! This fall I completed a 2,400 sq ft mural in the Creekside Underpass in Whistler that was commissioned by the Resort Municipality of Whistler, and spans both sides of the Valley Trail connecting the Creekside base under the highway towards Nita Lake. The north side wall reflects the Spearhead tenure with rolling peaks, and the south side illustrates the Tantalus Range. 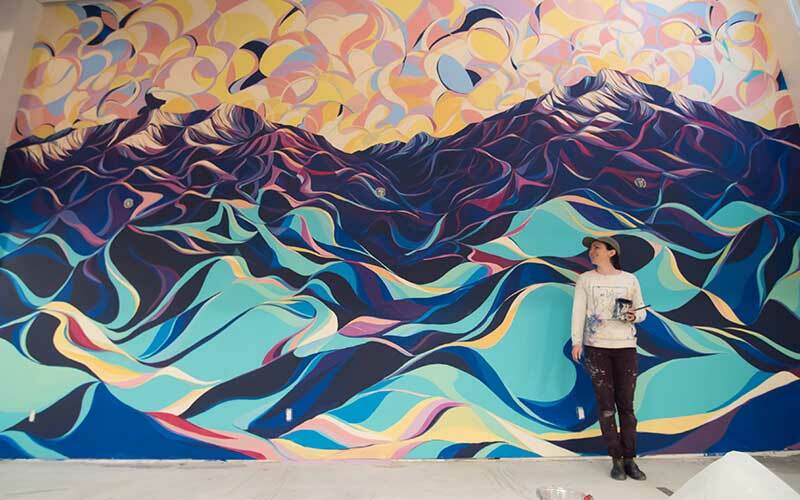 They are painted in shifting colors and forms to emulate the feeling of passing a day in the mountains; the colors shift from sunrise through to sunset as you walk through the mural. It was such a rewarding experience to be able to give back to the community, and transform the underpass into a vibrant and colourful experience that is always accessible. I then completed a 600 sq ft mural within a private residence in Whistler of a vibrant, colourful Whistler Blackcomb landscape. The shapes and colors in the sky and the mountains are woven together like a quilt, which was inspired by the quilts the woman who commissioned the piece creates in her own studio. The piece is very lively and captures that feeling of the setting sun and a day out in the mountains. It’s still pretty wild for me to see my artwork on such a massive scale, where rather than holding the mountains in my sketchbook I can literally move through them! Any adventure goals for 2018? Upcoming art projects we can look forward to? Get outside more! I’ve been working as a snowboard guide up at Baldface Lodge this winter and am looking forward to getting more time out in the mountains curating a fun experience for clients and friends. I’d love to complete more public artwork this year, as it was such a great experience being able to create something for the community. I’ll continue to work on developing artwork that can be seen on my website, and hopefully in more galleries this year. And I’ll be teaching a water-colour workshop with the Squamish Arts Council this March. I’m sure I’ll fill my schedule with lots more as the year goes on – very exciting to see what comes next! What is the best way to get in touch with you to purchase your artwork or about a custom project? The best way to reach out and check in would be through my website www.jessagilbert.com. You can also follow along on instagram.com/jessagilbert where I share daily updates, adventures, and projects in process. Interested in hearing more from Jessa about how she connects her two passions and why she so often finds herself in the mountains, covered in paint? Tickets can be purchased here for the Mountain Art & Photography Show on Sun, Feb 11 at the Rio Theatre. She will be joined by talented photographer John Price and the screening of 3 great films.